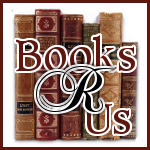 I want to welcome Peter Leonard to Books R Us. Peter is touring the blogosphere with his suspense novel Voices of the Dead . Thanks for stopping by. Hess went to a restaurant and had dinner and a couple drinks. At ten o’clock he drove back, parked around the corner on 32nd Street between two other vehicles so the license plate was not visible to anyone driving by. He walked to the Goldmans’, stood next to a tree in front of the three-story townhouse. There were lights on the first floor. He walked to the front door and rang the buzzer. He could hear footsteps and voices inside. A light over the door went on. Hess stood in the open so whoever it was would see he was well dressed. The door opened, a man standing there, assumed he was Dr. Mitchell Goldman, dark hair, big nose, mid-forties, top of the shirt unbuttoned, exposing a gold chain and a five-pointed star. Dr. Goldman stared at him with concern. “I am staying just down the street at the consulate,” Hess said, smiling. Now the door opened and he stepped into the elegant foyer, chandelier overhead, marble floor. “Are you expecting anyone?” He shook his head. Peter Leonard’s debut novel, QUIVER, was published to international acclaim in 2008 (“A spectacular debut...you will be holding your breath until the final page.”– The New York Sun). It was followed by TRUST ME in 2009 (“TRUST ME is fast, sly and full of twists.” – Carl Hiaasen, New York Times bestselling author). The Story Plant will publish Leonard’s newest novel, ALL HE SAW WAS THE GIRL, in the spring of 2012. I have to admit that I am not a fan of espionage thrillers but this book was fantastic. I was drawn in from the first page and finished the story rather quickly. There was action, suspense, humor and a cast of characters that made the book interesting. Throughout the book there are times when we find ourselves in Nazi Germany with scenes that were very realistic and well researched. The Main character, Harry, was a child during those horrific times and escapes death. When his daughter was killed by a diplomat, he travels to Munich to track the killer down. The killer looks familiar to him and he finally figures out who he is. All of the supporting characters interacted well. I especially liked Cordell who was Harry's sidekick. He was funny, charming and added energy to the story. If you like suspense and historical novels this is the book for you. This book seems pretty intriguing and interesting. I always love books where revenge is the catalyst for the whole story.